MANILA -- The Department of Justice (DOJ) has submitted a reply before the Makati City Regional Trial Court (RTC) Branch 150 to the comment and opposition filed by Senator Antonio Trillanes IV on its motion for an alias arrest warrant and hold departure order (HDO). 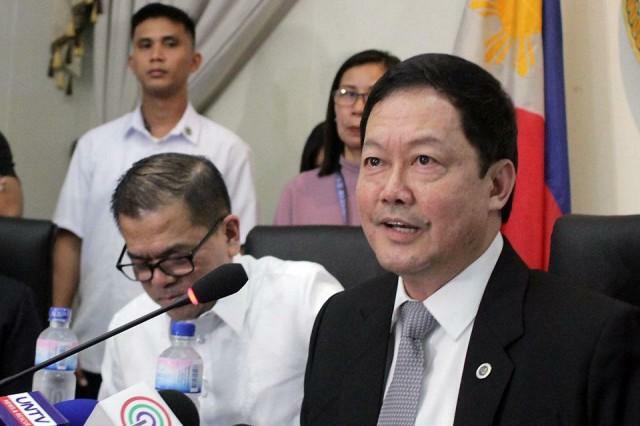 In a 10-page reply dated September 19, the DOJ, led by Acting Prosecutor General Richard Anthony Fadullon, Senior Assistant State Prosecutor Juan Pedro Navera, and Assistant State Prosecutors Josie Christina Dugay and Evee Eunice Keyser asked Judge Elmo Alameda to grant their earlier motion. The DOJ said Trillanes failed to show ‘received’ copy of duly accomplished amnesty application form during RTC hearings, and news reports bare he refused to admit guilt over the 2007 Manila Peninsula siege. It further argued that during the September 14 court hearing on its motion, Trillanes failed to present proof of his duly accomplished amnesty application form stamped with ‘received’ by the Department of National Defense (DND), which processed the amnesty pleas, contrary to his claim that he faithfully complied with the said requirement. “[A]s aptly pointed out by this honorable court (RTC) during the motion hearing, the best evidence that accused could submit to prove his claim is a copy of his application form bearing the receiving mark/stamp of the DND. This, the accused failed to do,” read the reply. The DOJ stressed that Trillanes’ “failure to comply with the minimum requirements set for by law pertaining to the grant of his amnesty” led to the voiding of the reprieve. Thus, the dismissal of the case was a “void judgment,” the DOJ added. The DOJ also insists the RTC has jurisdiction to hear and rule on its motion for issuance of alias warrant and HDO per Supreme Court's Sept. 11 resolution. “This honorable court has the authority to issue a warrant of arrest and a hold departure order against accused Trillanes. It has not lost jurisdiction over the case. No less than the Supreme Court en banc, in its resolution dated Sept. 11, 2018, acknowledged the jurisdiction of the Regional Trial Courts of Makati to hear and resolve the pleadings/motions filed by the parties,” the DOJ’s reply stated. The DOJ also attach additional pieces of evidence in their reply to Trillanes’ opposition. In his comment/opposition, Trillanes insisted that the case against him has been dismissed seven years ago and that it can no longer be revived by a mere proclamation and a motion by the DOJ. Aside from the reply and rejoinder, both parties have been required to submit their evidence to support their claims. After the submission of all the pleadings, the court said the case is deemed submitted for resolution. The Makati RTC Branch 150 handled the rebellion case against Trillanes and other Magdalo soldiers over the Manila Peninsula siege in 2007. The case, however, was dismissed after former president Benigno Aquino III issued an amnesty to the mutineers. Meanwhile, a similar motion was filed by state prosecutors before the Makati RTC Branch 148, where Trillanes was separately indicted for coup d’état over the 2003 mutiny. The case was also junked on Sept. 21, 2011 on the same ground cited by RTC Branch 150. The court handles the coup d'état case against Trillanes, whose amnesty was invalidated by President Rodrigo Duterte.